With proper maintenance and periodic inspection NERAK customers experience low machine down time if any and certain efficiencies. In today’s demanding production environments there may be several shift and personnel crews operating the equipment. Therefore, periodic inspection and training visits from a NERAK technician can keep your equipment running efficiently and effectively optimizing the operation of the equipment and ensuring maximum life expectancy. During a periodic inspection a NERAK trained technician will evaluate the operating conditions of your equipment and be able to make suggestions and conduct minor repairs and adjustments. In addition, NERAK offers training to your personnel on how to operate your NERAK equipment to perform at its highest performance level. Scheduling and renewal based on the period chosen. For more information or to schedule your Maintenance and Inspection contact us. NERAK Systems is dedicated to customer service and satisfaction. We recommend installation supervision and commissioning on all projects. Our expert technicians will supervise all aspects, ensuring the proper installation of your conveyor. During commissioning our technicians will make sure the conveyor is operating efficiently and effectively. Our installation supervision and commissioning services have been developed to work closely with you to identify what resources are needed long before your system is ready for installation and commissioning. For more information or to receive a quotation PLEASE CLICK HERE. NERAK Systems is your source for replacement parts for your conveyors. 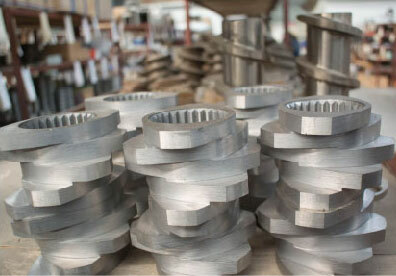 We provide one source for all your parts, offering convenience, reliability, quality and maximum productivity. Click here to contact Parts.